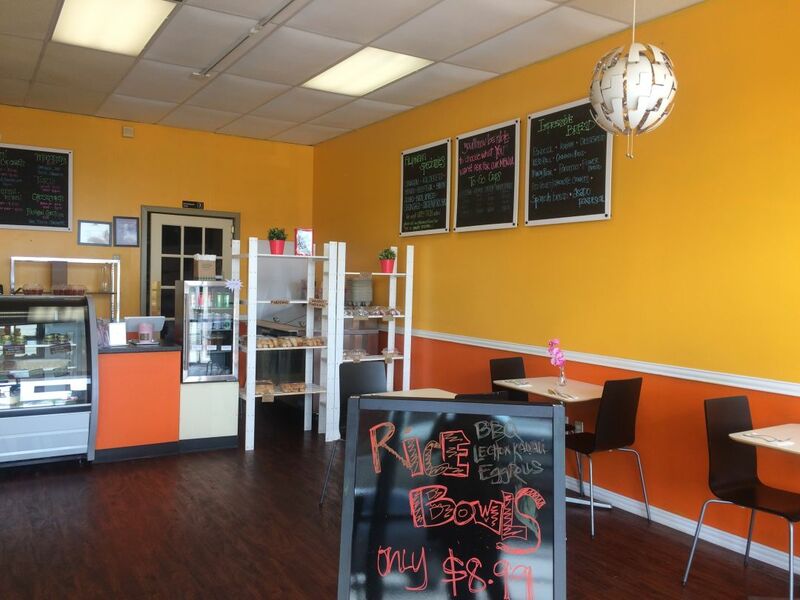 The former Kalesa Kitchen is now a whole lot cuter. 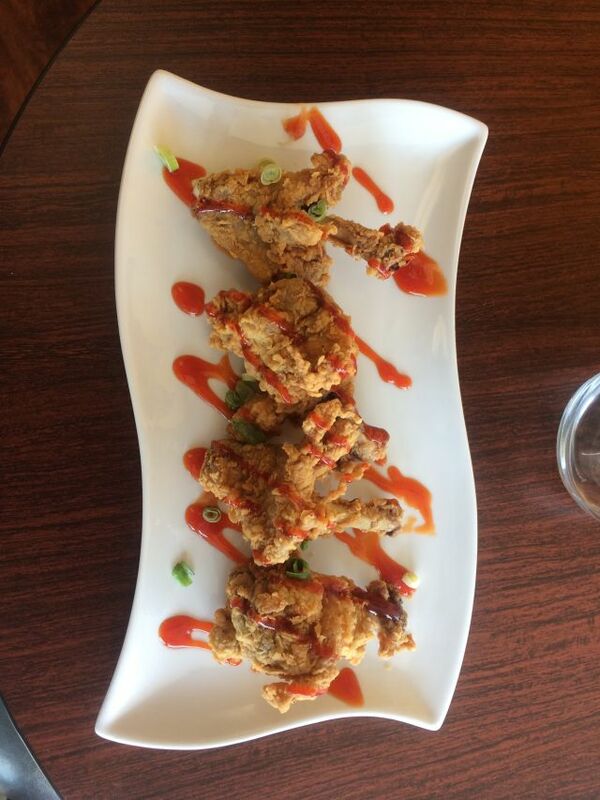 Chicken Lollipop can be served over rice or on its own. Actually, this lone female was without a companion when I headed up Veterans Memorial Drive toward Champions. I was unprepared for the adventure that was to follow: The biggest trompo I'd ever seen rotated languidly beneath the shade of a stand in front of a Fiesta Mart. 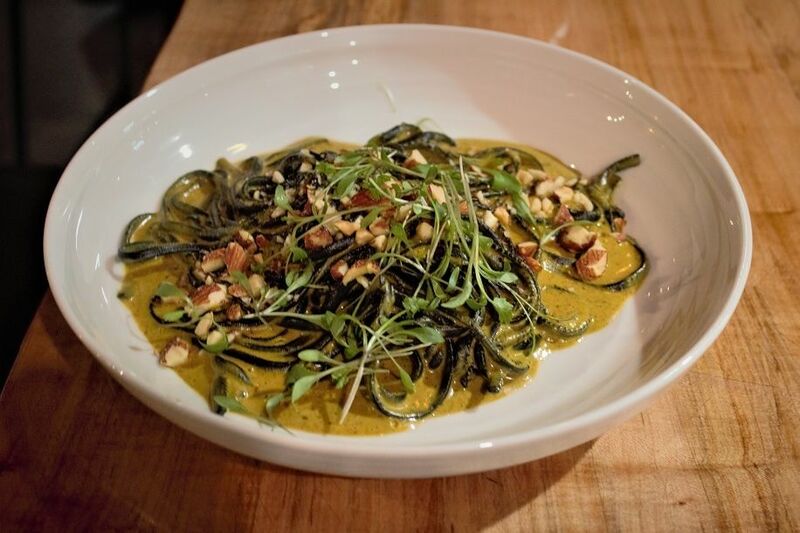 One restaurant was devoted entirely to Vietnamese banh cuon, another to Indian-style burgers, and countless Mexican stands specializing in everything from pollo asado to churros. A Cambodian video store! You can't make this stuff up. The goal was perhaps the greatest discovery of a day packed with them. It's no great feat to drive half an hour out of the Heights with a payoff on the level of Filipiniana Restaurant + Bakery. 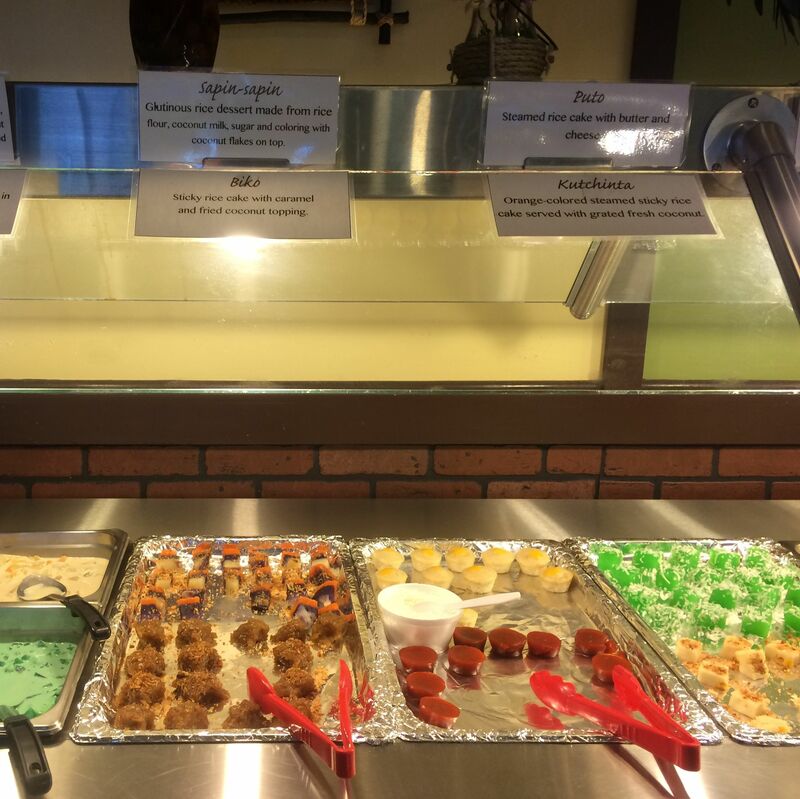 Though Filipino cuisine isn't represented in Houston on the order of say, Chinese or Japanese, we have a fair share of options. But those businesses are on the traditional side, directed at "titos and titas," as Diane Borbon puts it. Her family owns the Houston standby, Best of Filipiniana. 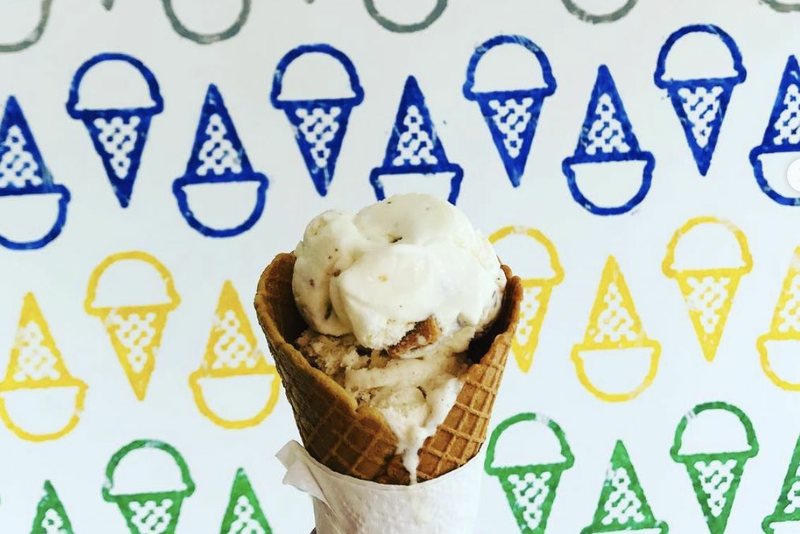 But in the last week of September, she and another young lady, pastry chef Debbie Ruiz, embarked on an adventure of their own, bringing Houston Filipino cuisine, and especially desserts, into the 21st century. The pair is still slowly rolling out their full menu—macarons in cute shapes with traditional Filipino flavors and cake pops made with polvoron are still to come, for example—but there is already much to love, from ube-flavored lattes (that's purple yam, a colorful must in Filipino sweets) and smoking halo-halo, to a good-sized menu of savory dishes. All-day, $6.99 breakfast is starting soon, but for now, the rice bowls are the deal to beat. All come with half a runny egg and a hot, freshly fried lumpia filled with ground pork served over rice and pickled carrots and onions. When I told Borbon I was struggling to decide between the lechon kawali and Chicken Lollipop, she suggested I get one as a rice bowl and one as a side. Done. 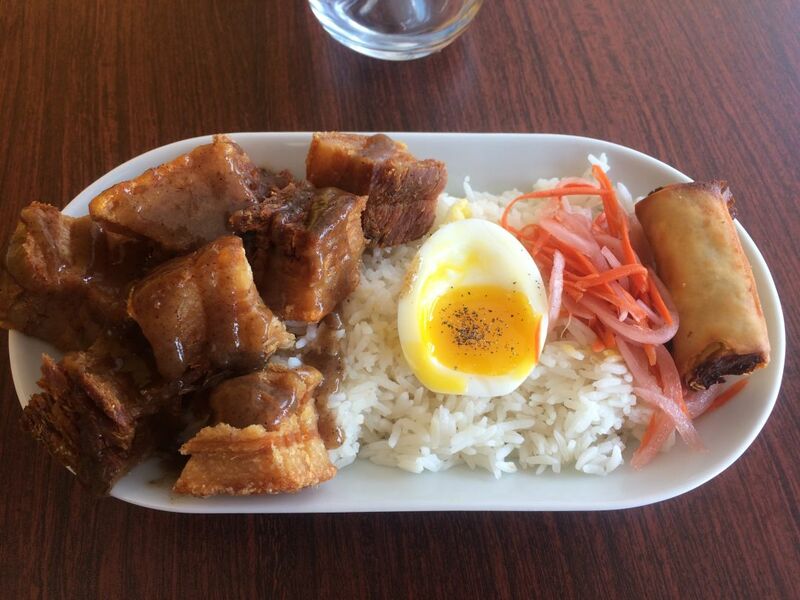 The crisp lechon burst with fat drizzled in garlicky, vinegared all-purpose sauce. The deeply flavored marinated fried chicken covered in squiggles of banana sauce was less reliant on the bed of rice, so it made sense on its own. 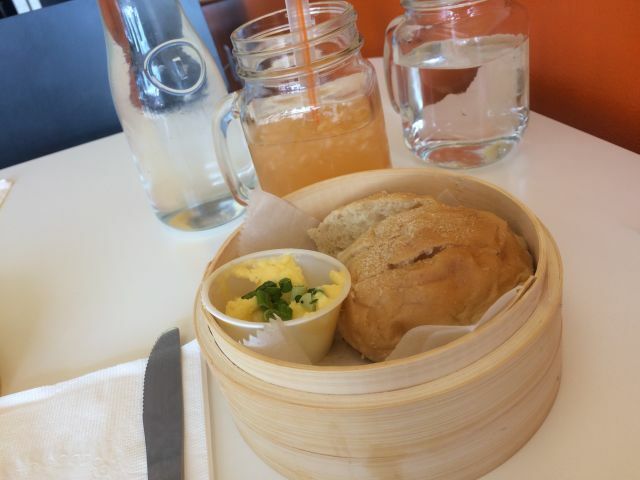 All other dishes, including noodles and stews, are $9.99, including a steamer basket filled with sweet, warm Filipino bread pandesal and rich-yellow homemade butter. I paired mine with chunky fresh-squeezed cantaloupe juice. 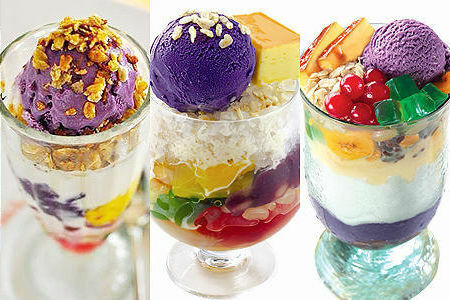 But the most exciting thing about the new Filipiniana is dessert. 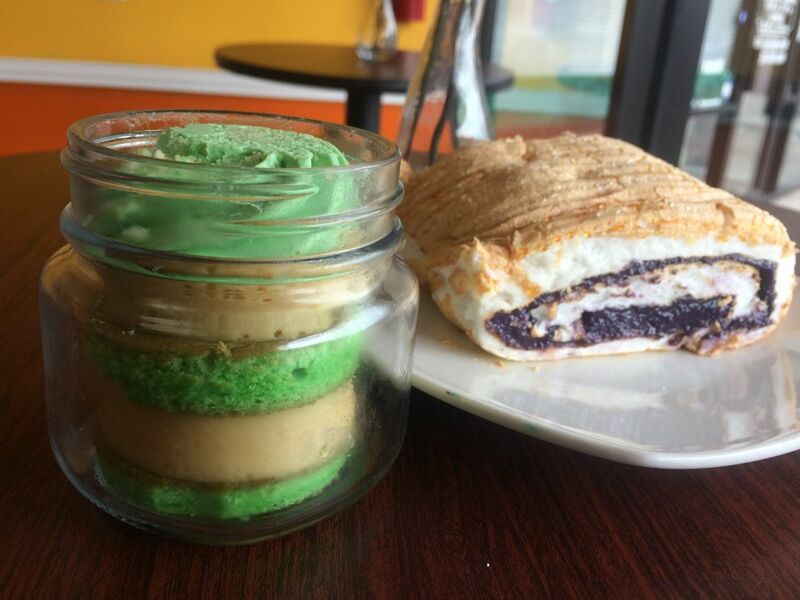 Filipiniana Signature pandan cake and ube Brazo de Mercedes. 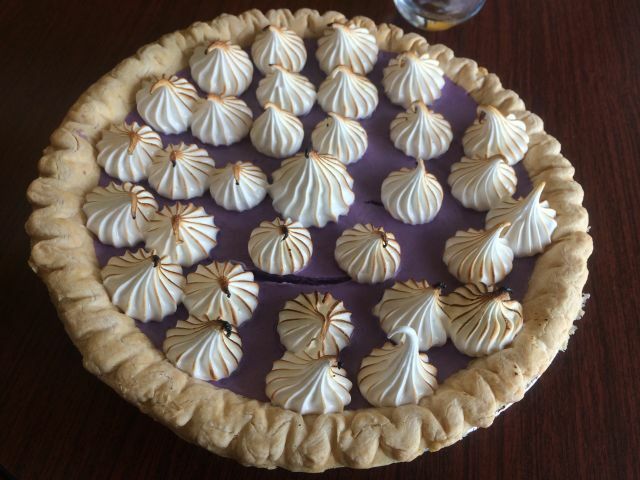 Ube cream pie, flavored like regular orange sweet potato pie, was such a hit over Thanksgiving that it's staying on the menu. The Filipiniana Signature cake is available whole in six- and eight-inch sizes, but also as petite naked cakes served in Mason jars. 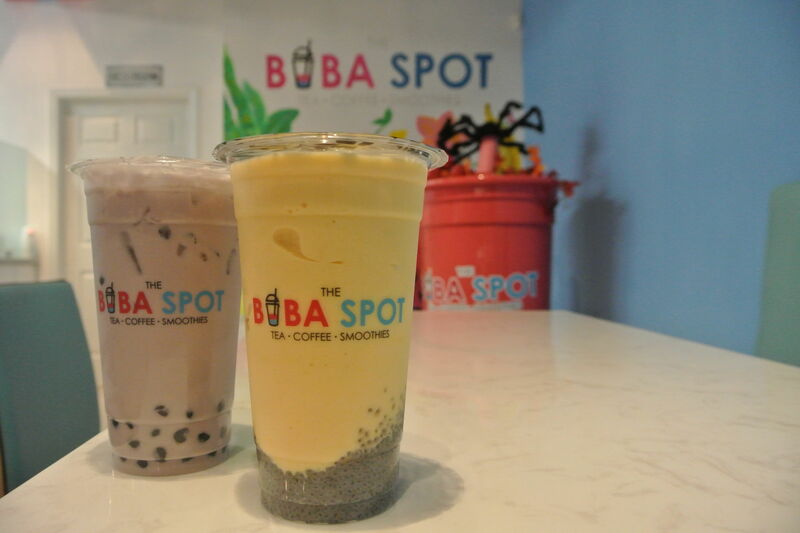 Borbon says coffee is the most popular flavor thus far, a tragedy when the bright-green pandan and deep-purple ube are ripe for the picking. I was planning on only eating a bite of my pandan cake, but the moist layers of flan alternating with mamon sponge, aromatic with the coconut-like grass and topped with pandan cream, proved stronger than my willpower. The whole thing was gone in minutes. But my new poison of choice is Brazo de Mercedes. Directly translated as "arm of Our Lady of Mercy," the dessert is far less creepy than it sounds. You know those dry, vaguely depressing Swiss rolls you avoid at Chinese bakeries? Imagine the cake replaced with fluffy Italian meringue and the staid cream giving way to sensuous custard. Awesome, right? Now picture that custard is midnight purple and softly coats your mouth with the flavor of sweet potato. 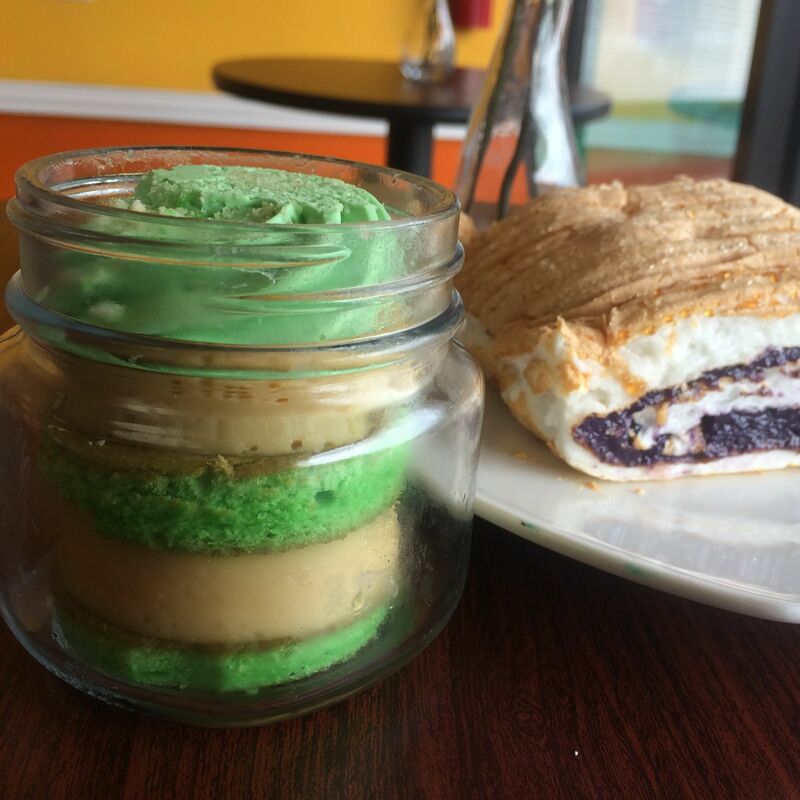 Thank goodness Filipiniana is half an hour out of my way, or I would be buying an ube Brazo de Mercedes every day. As it is, I'll be taking far more adventures to the Greenspoint reaches of Veterans Memorial than I ever anticipated. $ Filipino 9671 Bissonnet St.